On my mac I have 2 accounts and the both are normal account. So in this moment I don't have a Administrator account, only one that was in the past a administrator, but now is not. How I can have again a Administrator account? Check and repair the drive by typing /sbin/fsck -fy then ↩ enter - as directed by the on-screen text. Mount the drive as read-write by typing /sbin/mount -uw / then ↩ enter. 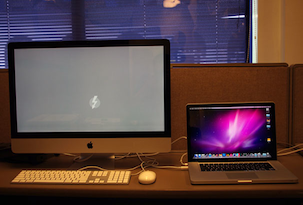 Remove the Apple Setup Done file by typing rm /var/db/.AppleSetupDone then ↩ enter. Reboot by typing reboot then ↩ enter. Complete the setup process, creating a new admin account. Note that this may result in the new account being logging in automatically when the system is restarted, replacing whatever account may have been set to automatically log in previously. If you need to retain access to the original account without knowing its password, this may mess that up. This makes the file system writeable, and then removes the file that tells OS X that you've setup the system. Hit Ctrl-D" to continue your boot and you should get the "Welcome to Macintosh" startup and you will be able to setup a NEW account (make sure it is a new account). This account will be an admin account. 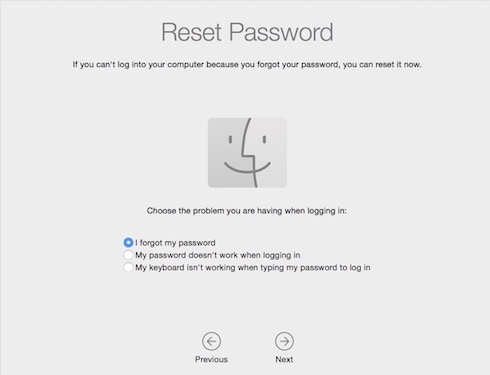 There are several ways to regain/recreate administrator privileges on a Mac. This will launch the Reset Password app with which you can select an account and set a new password for it, thus enabling login for it. Resetting the password does NOT change the password of the account's keychain file, so accessing data in the keychain still requires the original password. The goal is to remove a flag file /var/db/.AppleSetupDone which tells macOS that the Setup Assistant has already completed. If the file is missing macOS will launch the Setup Assistant which includes the creation of a new account with administrative privileges (same as on first boot of a new Mac). Note that this may result in the new account being logging in automatically when the system is restarted, replacing whatever account may have been set to automatically log in previously. If you need to retain access to the original account without knowing its password, this may mess that up. Press Enter, quit Terminal and restart your Mac. When the system boots, Setup Assistant will be shown and you will be prompted to create a new administrative account. When the system boots, Setup Assistant will be shown and you will be prompted to create a new administrative account. Eject the yellow volume and use power button to shutdown and restart your Mac. When the system boots, Setup Assistant will be shown and you will be prompted to create a new administrative account. dscl . -create /Users/joeadmin RealName "Joe Admin"
dscl . -create /Users/joeadmin UniqueID "510"
This will create an account "joeadmin", account ID 510, with password "password" which will be an administrator. Not the answer you're looking for? Browse other questions tagged macos accounts administrator . My Mac doesn’t help an admin user?! Help! Should I make my primary user an Administrator or not? administrator account with parental control?